“When the members of the Club des Chefs des Chefs (CCC), the most exclusive gastronomy club whose members comprise chefs to presidents, prime ministers and royals across the world, get together for their annual General Assembly meeting, it is almost like a G20 of culinary diplomacy,” says Montu Saini, Chef to the President of the Republic of India. This year, the Paris-based CCC, are convening in India for their General Assembly. “I am delighted to spend our annual meet in India, It is great to discover the wonder of India and its fabulous gastronomy,” said Chef Christian Garcia from Monaco, who is also the President of the CCC. Preparations for this grand event have been on for over a year. Starting their Indian sojourn in the capital, with scheduled meetings with both, the president as well as the prime minister of India, the chefs have had a packed itinerary with a trip to the spice market, Khari Baoli, a meal at the iconic Indian restaurant Bukhara at the ITC Maurya, savouring Indian delicacies at their host hotel, The Imperial, New Delhi, and even cooking for a gala charity dinner, besides fulfilling the norms of the annual general assembly meeting such as exchanging notes and recipes and learning about each other’s traditions and cultures. Today they have gone to Agra, where they will stay at the ITC Mughal, then on to Jaipur via Fatehpur Sikri, where the Rambagh Palace will host them. There is also a stop en route at the Maharajas’ Express, the most luxurious train in India. Although the chefs follow strict protocol, we coaxed them into sharing a few exclusive quotes on the first families that they cater to. 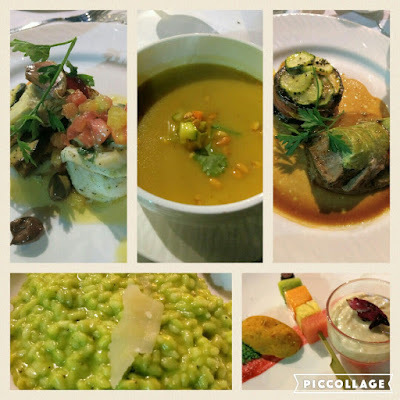 · “Cooking for the first family makes it a zero-error job,” says Chef Montu. As the host chef and yet-to-be-crowned youngest member of the CCC, he has been involved in every step of planning and executing this prestigious event. 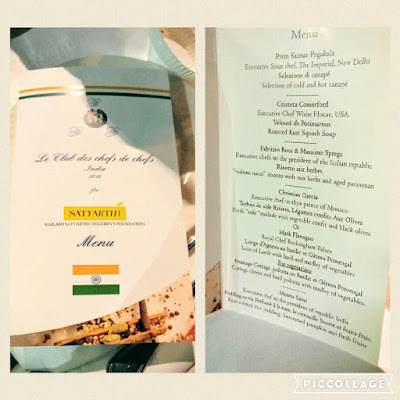 He shared that there is a cyclical menu for the Rashtrapati Bhawan that includes pan-Indian and regional specialties, however, the family members occasionally ask for specific dishes as well. As a routine every meal is rather simple, comprising a dal, sabzi, non-vegetarian dish, rice and roti. · Cristeta Comerford, Chef to the President of the United States of America, said she wasn’t really allowed to talk about the first family, but shared that she will miss the Obamas. · Neil Dhawan, Chef to the prime minister of Canada says that the Trudeaus are just like any other young family. His go-to dish for them is a comforting shepherd’s pie. The Menu for the Gala Dinner at The Imperial New Delhi. The CCC announced a three-month scholarship for the top student of the Institute of Hotel Management, Pusa in New Delhi to train in the palaces of Europe. They cooked a 5-course a charity dinner at The Imperial, New Delhi to raise funds to support the Kailash Satyarthi Foundation-India, a charity headed by Nobel Peace Laureate Kailash Satyarthi. After a very impressive round of cold and hot canapé by Prem Kumar Pogakula, executive sous chef, The Imperial, New Delhi, Chef Cristeta Comerford, chef to the US President Barack Obama, served up a roasted kuri squash soup; Chef Fabrizio Boca from Italy rustled up a veg risotto with herbs and aged parmesan; Chef Christian Garcia from Monaco, prepared a Mediterranean sole roulade with a vegetable confit and black olives while Chef Mark Flanagan, Royal chef of the UK, cooked a lamb dish. Chef Montu Saini presented a rose scented kheer, pumpkin halwa and a fresh fruit skewer. “There was rigorous coordination especially to put together the menu for the grand Gala Charity Dinner, to culminate the general assembly in Delhi at The Imperial. The chefs have been working with me in the kitchen too and were highly impressed with our hygiene standards, infrastructure, team and the local produce and flavours,” shared Chef Prem. Top L-R: Mediterranean Sole Roulade, Squash Soup; Loin of Lamb. Bottom L-R: Herbed Risotto; Gulkand Kheer. In Jaipur there will be another fund-raiser lunch at the City Palace for the Princess Diya Kumari Foundation. This article first appeared on indiatoday.intoday.in on October 26, 2016. It has been modified by the author to fit the requirements of AppetisingTales.com.